Presented inhouse. Reviewed Oct. 10, 2005. Band: Tracy Chapman, Joe Gore, Quinn Smith, Nedra Wheeler. 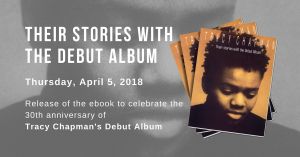 Though Tracy Chapman hasn’t had a crossover hit for years, the soulful multiple-Grammy winner’s maintained a cult audience through consistency and talent, her gorgeous, deep voice always identifiable. New album “Where You Live” (Atlantic) maintains her spirit; though it most likely won’t gain her any new mainstream fans, longtime listeners — like the ones jammed into the very full Roxy this week — will listen reverently to every word. Surprisingly, Chapman didn’t showcase much of the new record; her band played through the single “Change” and a few others, but much was unexplored. Instead, she offered a run-through of her catalog, starting with two from her self-titled debut and hitting on a lovely “Fast Car,” a bluesy “Give Me One Reason” (doubled from its slow-course blues to a B.B. King rave) and the near-reggaeish “Talking ‘Bout a Revolution” throughout the set. Chapman really chose to branch out with the set’s unlikely covers. “Knockin’ on Heaven’s Door””Knockin’ On Heaven’s Door” (featuring Ben Taylor, whose opening set recalled father James Taylor’s best) became a stretched-out tale of mortality. “House of the Rising Sun” went from mysterious to mournful, and as Chapman’s vocals stretched out the line “There was a house in New Orleans,” a little topical as well. The encore boasted an introspective reworking of the Cure’s “Love Song,” and a full-band, unamplified percussion romp of “Take Me to the River,” Chapman’s vocals lovingly wrapping their way around the off-kilter hand-claps. Chapman’s surrounded herself with artists that bring out her best (bass player Nedra Wheeler, in the band just for this show, brought out the strutty swing that usually is lost in Chapman’s often-arpeggiated guitar playing), and, in doing so, hit on a performance unusual not just in its intimacy but in its freewheeling spirit as well. For a veteran artist who could have chosen to just mine her past (or promote new product), that’s not just unusual — it’s entirely commendable. A.B., 10/10/05: The few hundred or so crowd of people in this venue on this day must have been the chosen ones…I for one came out thinking “what did I do to deserve this?”I had sung along to Tracy from a young age and I never thought that I would be standing before the artist who had managed to target every human emotion that runs through my veins. When Tracy played in Paris for Amnesty International my older sister ran away for a couple of days to attend. I told my mum she went shopping while I sat at home and festered in my envy. But my day came too and Tracy did not disappoint. The energy at the Roxy was electric though sometimes rowdy. Tracy tried to calm this by allowing the crowd to choose a song…of course this caused an indecipherable mess of voices yelling out their favorite song name. This is a testament to Ms. Chapman’s talent. They are all favorites. In addition to playing all her enchanting classics, she covered “Love Song” by the Cure and Dylan’s “Knockin on Heaven’s Door”. The crowd was pleased. The young man I had been observing from the get-go who had attended the concert with his somewhat heavily pregnant wife kept looking back to see if she was ok until Tracy Chapman grabbed the audience and he amusingly could not peel his eyes away to tend to his wife any longer. Tracy’s voice was ever more entrancing in real life and her lyrics piercing as they have always been. She had an accomplished percussionist with involving beats. There was a fun, bluesy rendition of the empowering “Give Me One Reason”. Although many of the songs from her new album were not played, the ones that were, were well done. The first song “Change” was done with Tracy’s drum accompaniment. The guitar sections of this song displayed an _expression of enjoyment on Chapman’s face. In fact, it was universally felt throughout the evening that Tracy was enjoying what she had created on this stage and the feeling transcended into the audience. I saw some cry, I saw some stare, I heard some sing along, some looked really content, some smiled…I just stood there and watched in disbelief. The next day my friend asked at dinner “so…how was the Tracy Chapman concert?” I looked at her and no words came out. She laughed at me and asked “why do you look like youre crying?” I felt silly and changed the subject.